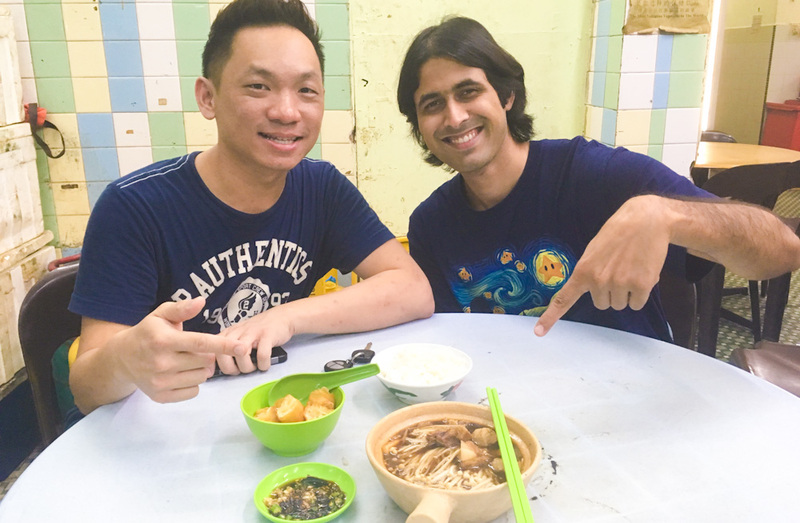 Penang is the most food-obsessed place we have ever been to! 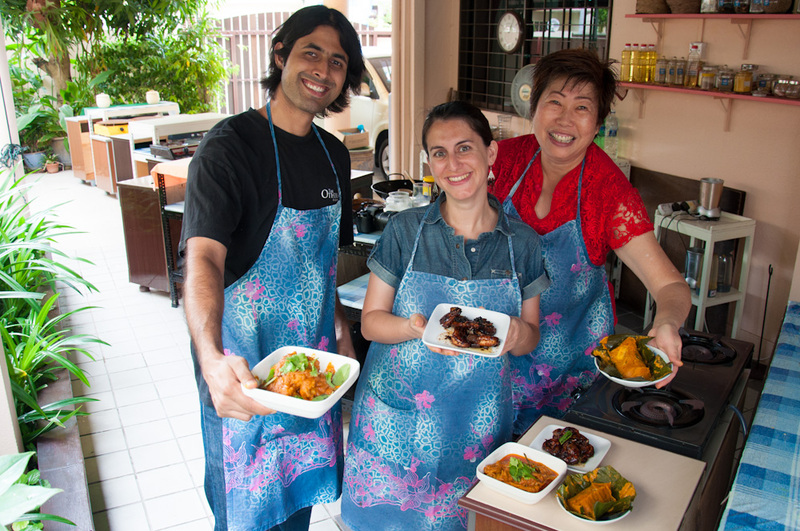 The food scene of Penang is a reflection of its multicultural society. The most prominent communities inhabiting this Malaysian island are Malay, Indian, Chinese, and Peranakan or Baba Nyonya, that is, the descendants of Chinese immigrants who settled in the Malay archipelago during British rule. People in Penang don’t eat to live. Food is a pleasure and hunting down new hacker stalls is an all too common hobby. 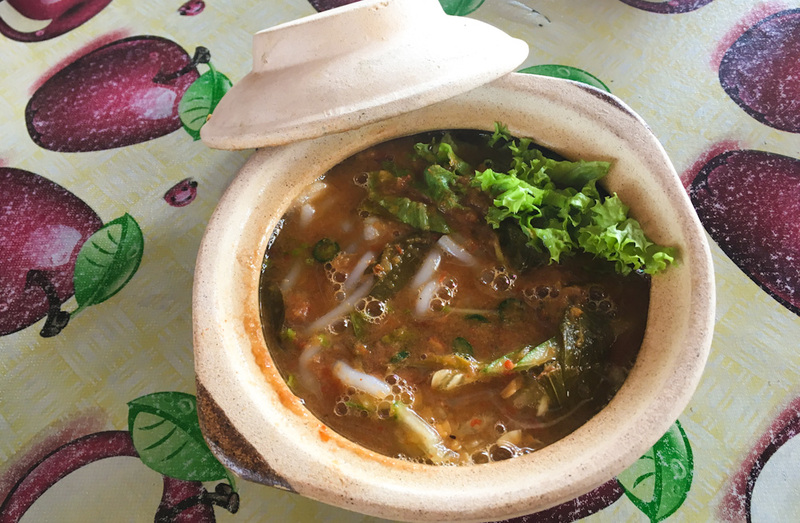 The most beautiful thing about traveling and eating around Penang is not only that you get to try so many different dishes at such inviting prices, but how you get to see people from all backgrounds, indulging in different foods. Chinese will eat Indian and Malaysian foods. Indians will eat Chinese and Malaysian. But Malay are not so often seen in Chinese food courts, quite probably because of the prominence of pork dishes, forbidden in Islam. 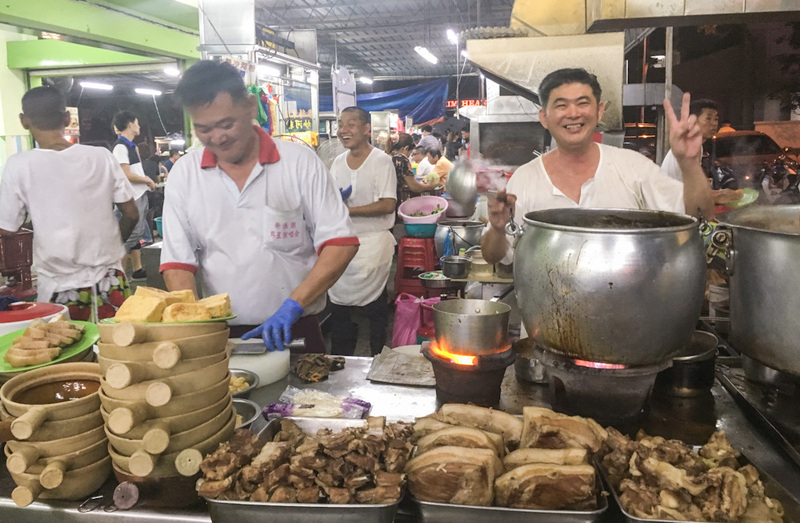 When it comes to street food, vendors in Penang tend to specialize in one dish, or at the most in a couple of similar preparations. 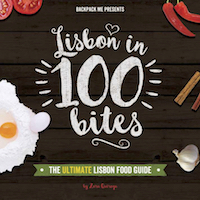 Even though recipes are complex, these expertise translates into really well-crafted dishes, served unpretentiously. 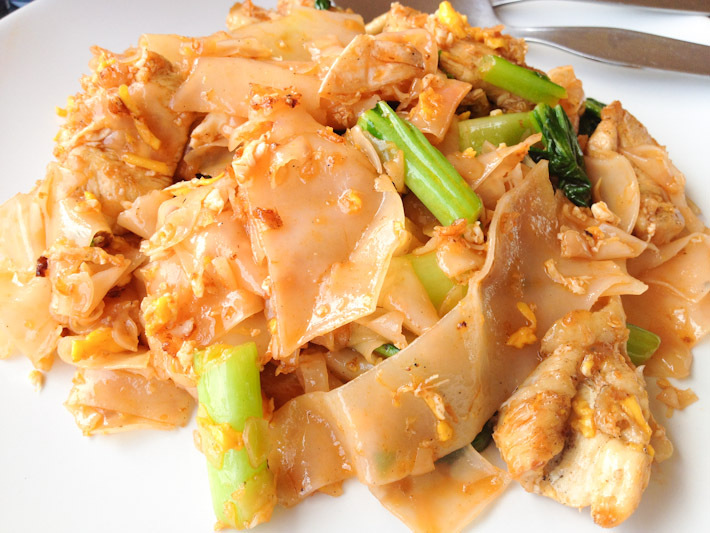 Spending time in Penang is an adventure for the senses, especially for the taste buds! Discovering new hacker stalls, new dishes, new flavors and nuances on the recipes you have already tried can keep you engaged for months and months. 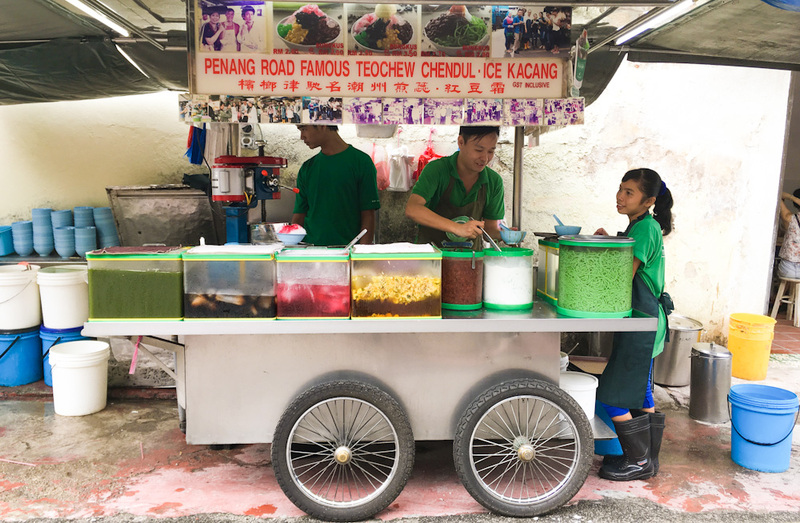 The food scene of Penang is that vast, and there’s always a new street food vendor popping up among the all-time favorite food courts, also known as cafés, that dot the entire island. In no particular order, here are some of the best things we ate in Penang. Those dishes were a mix of traditional Penang icons plus some others that were just too good not to be mentioned here, but that can be found in the rest of Malaysia or even other parts of Asia too. 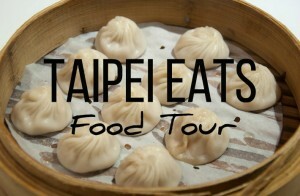 One thing is for sure: this was one of the best foodie trips of our lives! 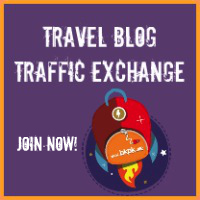 Getting a Malaysia visa and traveling to Penang is easy. If you like food, culture and warm welcoming vibes, we’d sure recommend you to go travel around Penang soon! 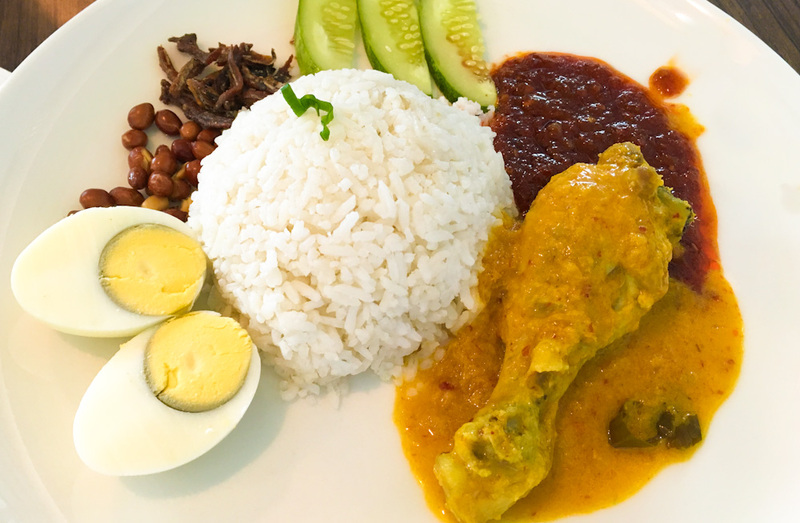 Nasi Lemak is, no more no less than the national dish of Malaysia. White rice is cooked fragrantly with coconut milk and pandan leaf. 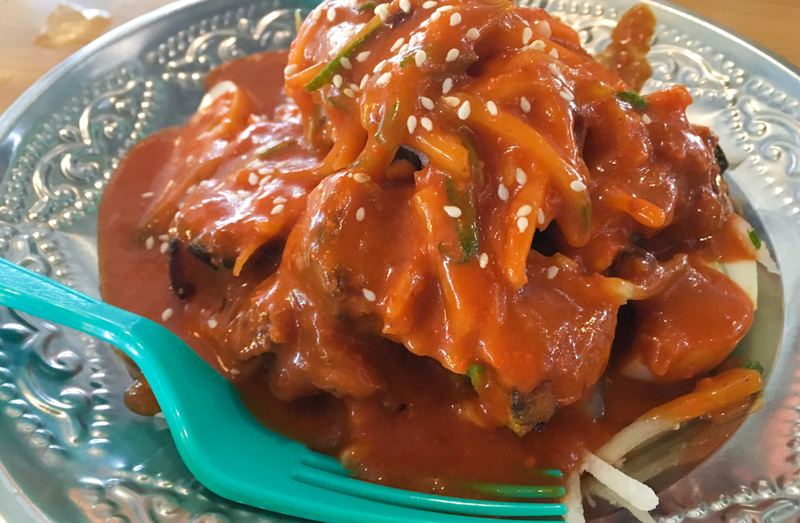 It is served with standard sides such as spicy sambal sauce, anchovies, peanuts, cucumber and some animal protein like chicken. 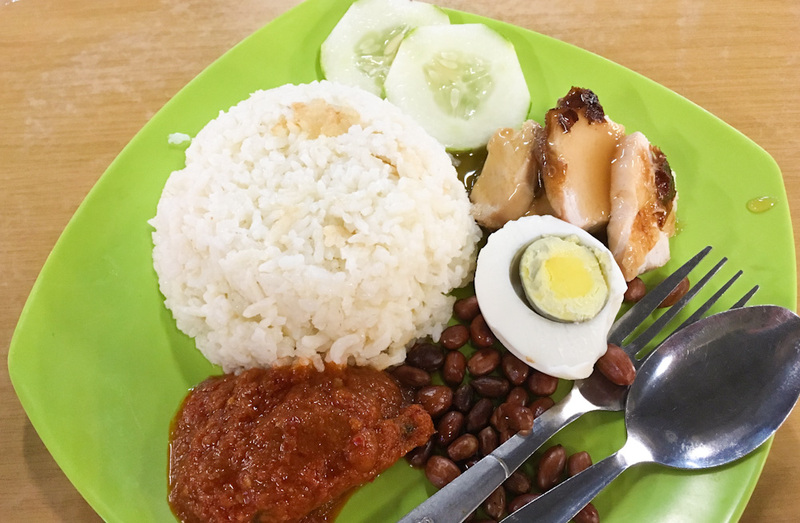 Nasi Lemak is commonly eaten for breakfast but in Penang, just like anywhere else around Malaysia, you’ll find this dish being served at all times of the day. This is such a comforting platter of everything that is nice in life: carbs, protein, fresh veggies, crunchiness, and spice! Just like Nasi Lemak, Nasi Goreng is also not a Malaysian exclusive. These dishes are very common in Indonesia and Singapore. Nasi Goreng stands for any fried rice dish. The variations are never-ending. Nasi Goreng Ayam, featuring crispy chicken and sweet chili sauce, is one of the most common. 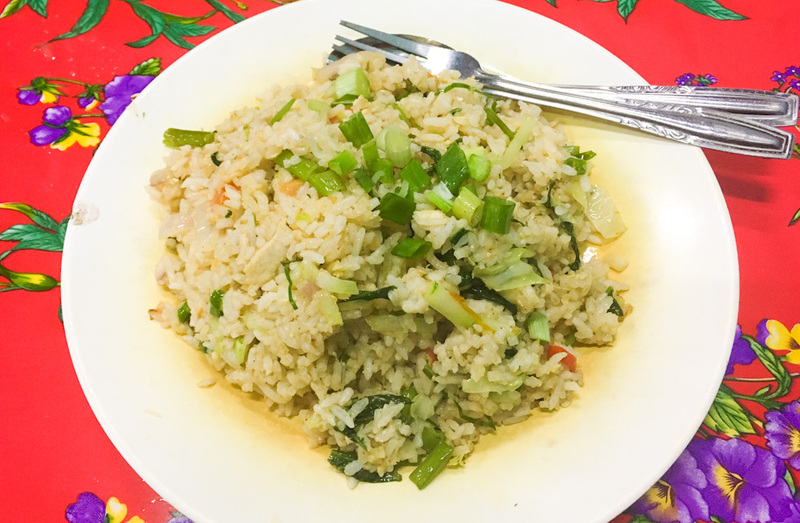 In Penang, the diversity of fried rice recipes and ingredients that go into this mix is as wide as the different communities that call the island home. Roti Canai is one of the most beloved examples of Indian influenced Malaysian cuisine. This bread was introduced by Muslim Indians who settled in Malaysia. If you know Indian roti or paratha, you’ll find that Roti Canai is like a hybrid between these two. 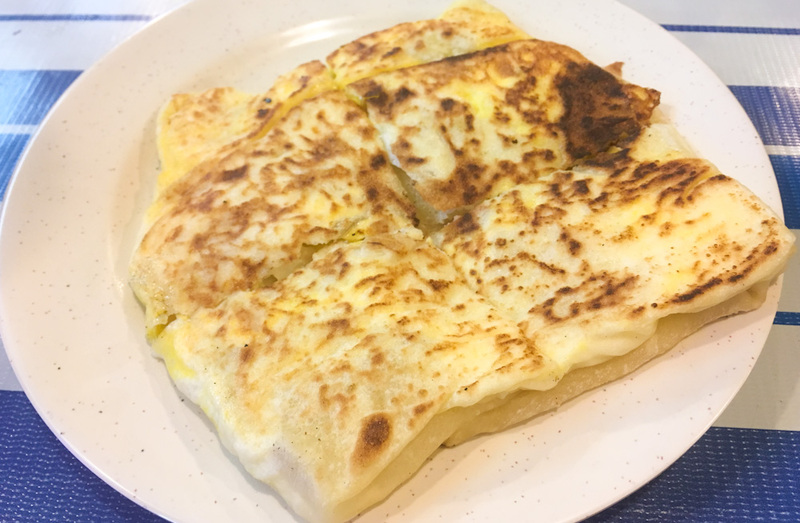 No wonder this bread is also commonly known as Roti Prata, particularly in Singapore. Roti Canai tastes great stuffed with savory or even sweet fillings. On the savory spectrum, egg, meats, and sardines are common. If you prefer your Roti Canai plain, it’s recommended to dip it in daal or curry. 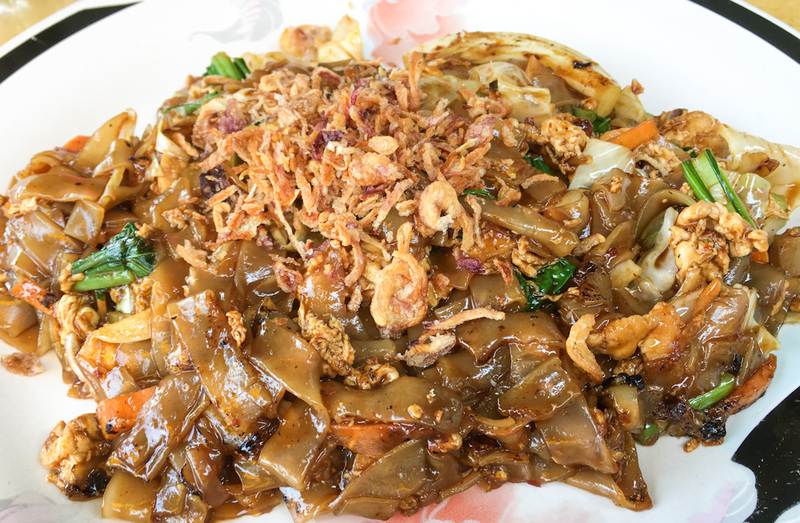 Rivaling with Pad Se Eew in Thailand, Char Kway Teow is my favorite dish in South East Asia. The name of this recipe literally translates into “stir-fried rice-cake strips”. We’re basically talking about thick chunky rice noodles, cooked in a wok with prawns, cockles, bean sprouts, egg and soy sauce. 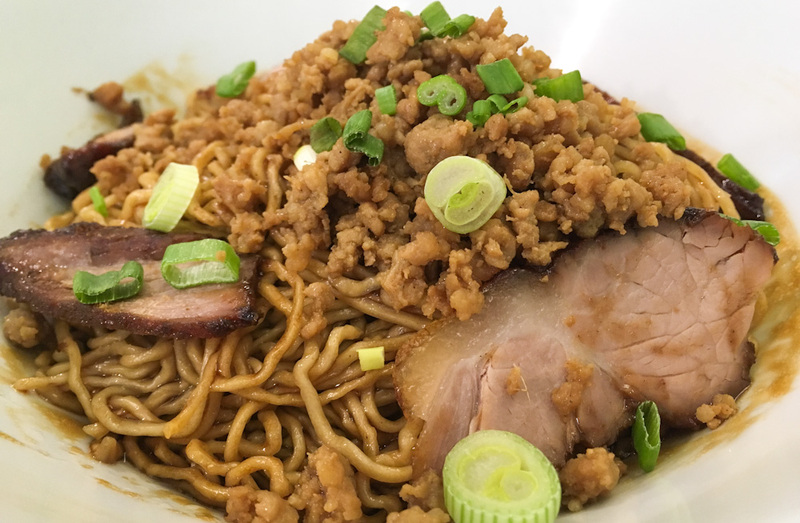 Apart from the seasonings, what makes this dish mega flavorful is that it is often cooked in pork lard and, sometimes, the cook will let a little flame get close to the noodles for a touch of smoky flavor. Watching someone make a mean Char Kway Teow sure puts you in the mood to eat it while it’s hot! Penang Laksa, served AND eaten with a smile! 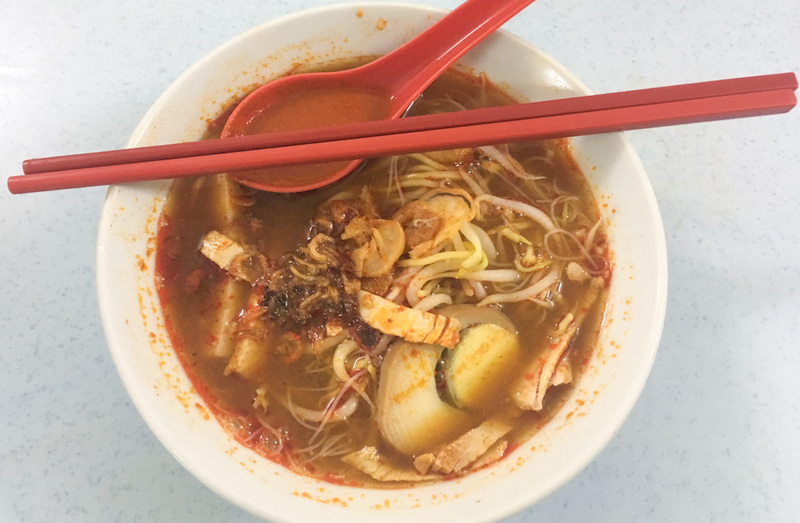 You can’t talk about iconic foods of Penang without mentioning Assam Laksa. This is a spicy noodle soup that stands out for its sour flavor. “Assam” means sour in Malay. The broth tends to vary from place to place, but the overall flavor will not leave anyone indifferent. This soup is made mixing tamarind, lemongrass, chilies and shrimp paste. The addition of rice vermicelli will make sure a bowl of Laksa keeps you full for a while. Rendang, originally from Indonesia, is a rather common dish among Malays too. Even though this dish is technically a curry, it’s not a particularly wet one. The meat is cooked with coconut milk and a mix of spices that include ginger, lemongrass, turmeric leaves, galangal and chilies that give the dish its characteristic flavor. 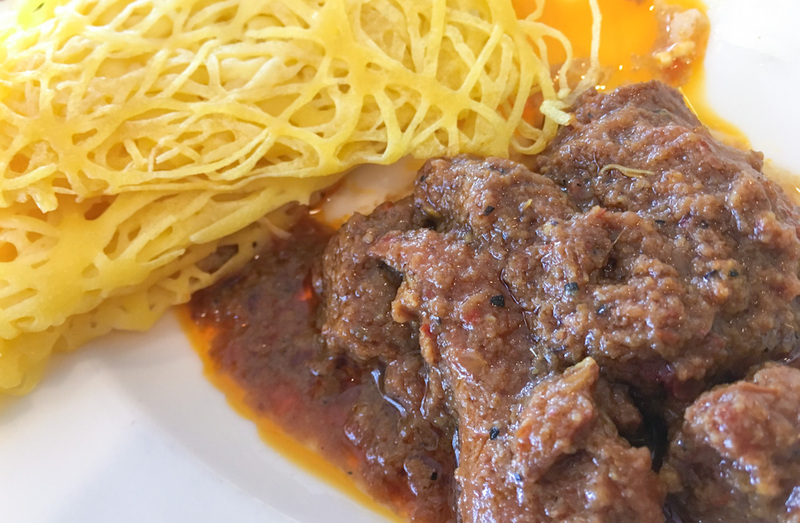 When we had it in Penang, Rendang was served with Roti Jala, also known as Malaysian net bread. This “bread” that consists mainly of flour, eggs, milk (dairy or coconut), and a pinch of turmeric is a common side for curries, basically acting as a substitute for rice. 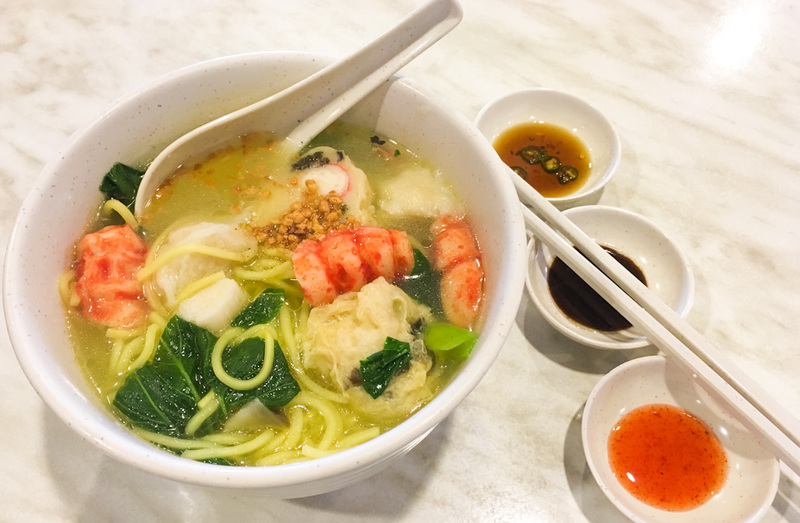 If soups are your thing, you will feel fortunate eating around Penang. Bak Kut Teh is a broth cooked with pork ribs. In the Hokkien dialect, it translates directly into “meat bone tea”, clearly indicating what are the elements responsible for the flavor of this dish. 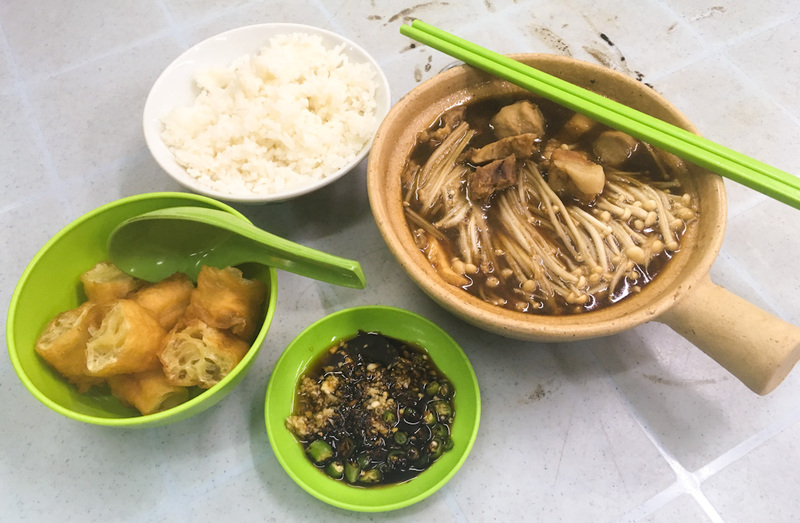 Beng Kee at Old Green House food court in Penang is a legendary spot for Bak Kut Teh. Expect the meatiness of a pork soup and the sweet aftertaste of cinnamon, fennel and star anise when you dig into a bowl of this intensely flavored soup. For extra texture, Bak Kut Teh is served with Char Kueh, strips of fried dough and a sauce made with soy, chilies, and garlic, which you can add to taste. Black Pepper stir-fries will always take me back to a meal we had in Phuket years ago. We were riding our bike around the island and saw a cafeteria by a mosque. We stopped, took a seat and had the entire place to ourselves. It was the offseason. We noticed a dish called “black pepper fish” which we ordered and devoured like it was our last meal on earth. 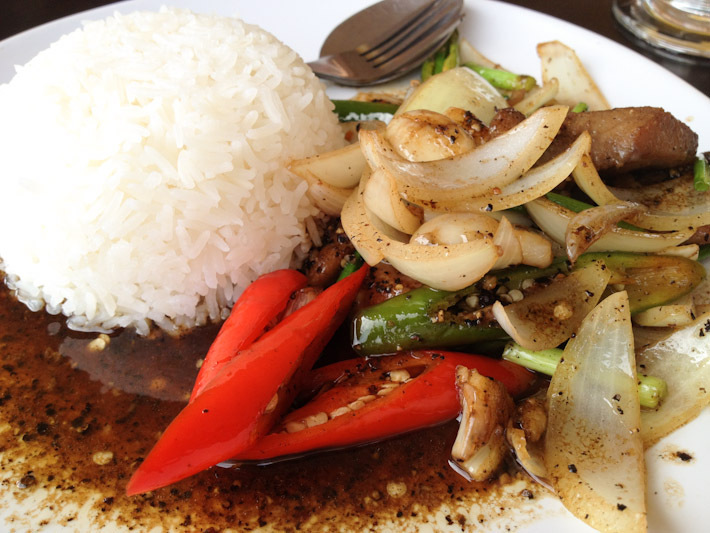 Ever since that one time in Thailand, whenever we see black pepper dishes, we order them! 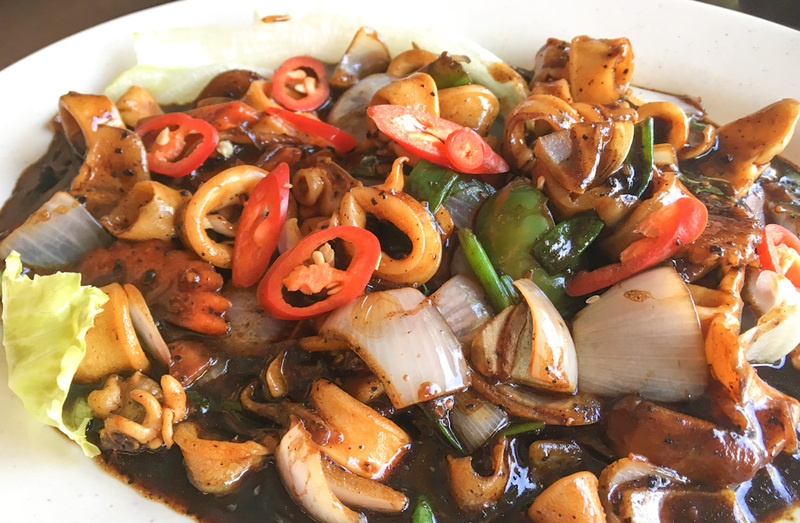 In Penang, at a café called Fruit’s Valley in Batu Ferringhi, we had Black Pepper Squid. Delicious! What if one of the best dosas of our lives wasn’t even eaten in India? 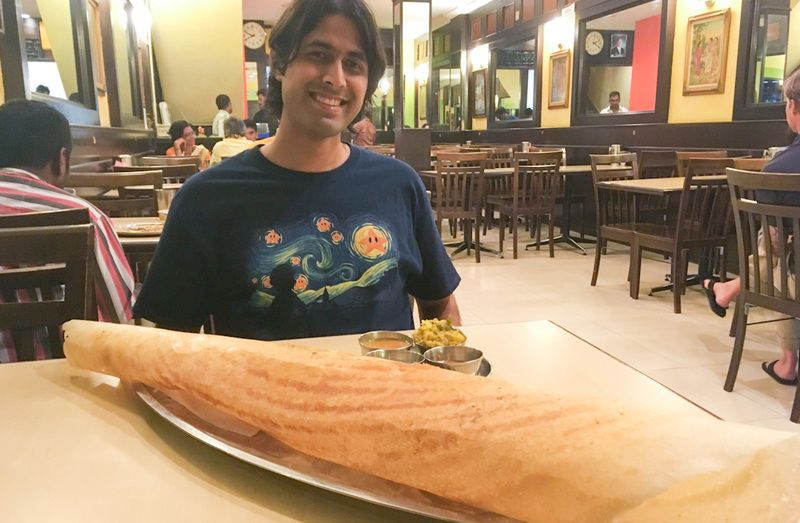 It may sound odd, but I remember this huge paper masala dosa in Penang as one of the most delicious I have ever had. Indian and specifically South Indian foods are very common all over the island. This means that any day is a good day to eat Dosa, Uttapam or Vada. 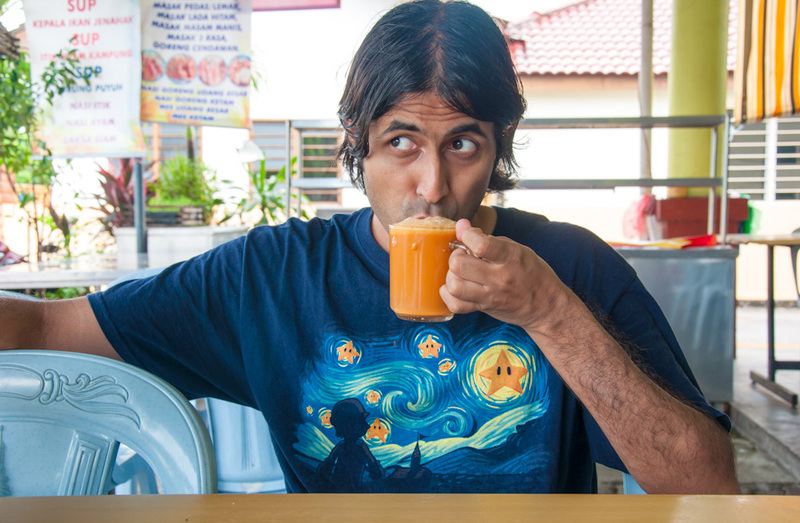 All of these items will be as authentic as those you’d find in Tamil Nadu, and in good Penang style, the prices will sometimes be even more inviting than in India. If insanity was a spicy treat, this would be it! 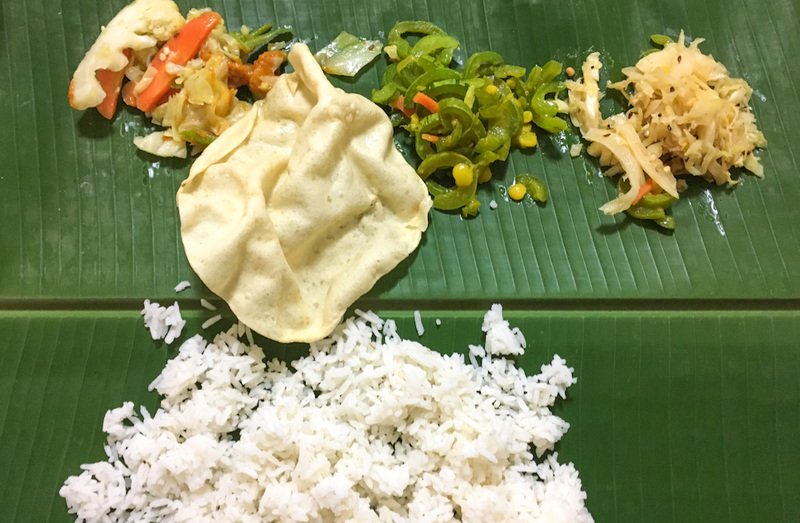 Still on a South-Indian tone, vegetarian meals served on banana leaves are also popular in Penang. This is a good option when you’re really hungry because these are all-you-can-eat experiences. Just like in India, you sit down and a banana leaf to be used as a plate is placed in front of you. 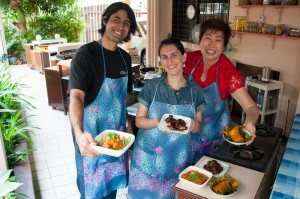 Waiters will come around and serve you different vegetarian preparations to be eaten by hand, mixed with steamed rice. 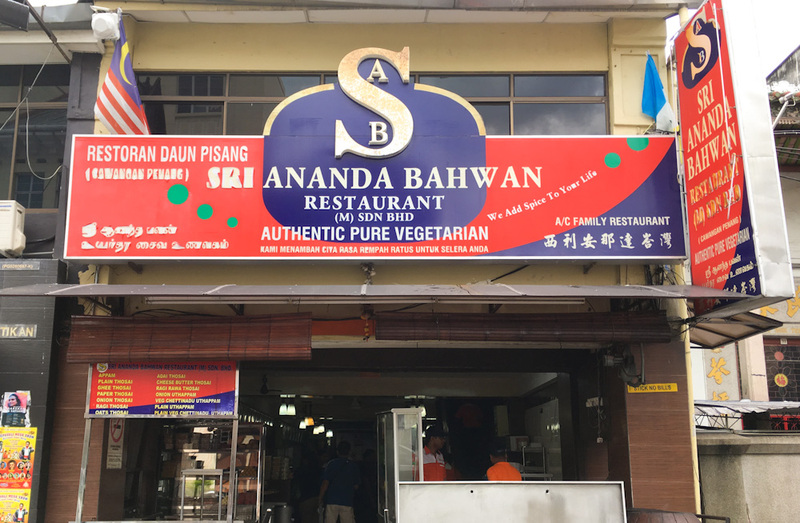 If you are a vegetarian or simply enjoy plant-based food every now and then, your choices in Penang will not be limited to Indian foods. Chinese places often serve some vegetarian options too, even if these are not as varied as those from the sub-continent. But during the Nine Emperor Gods Festival, things change. 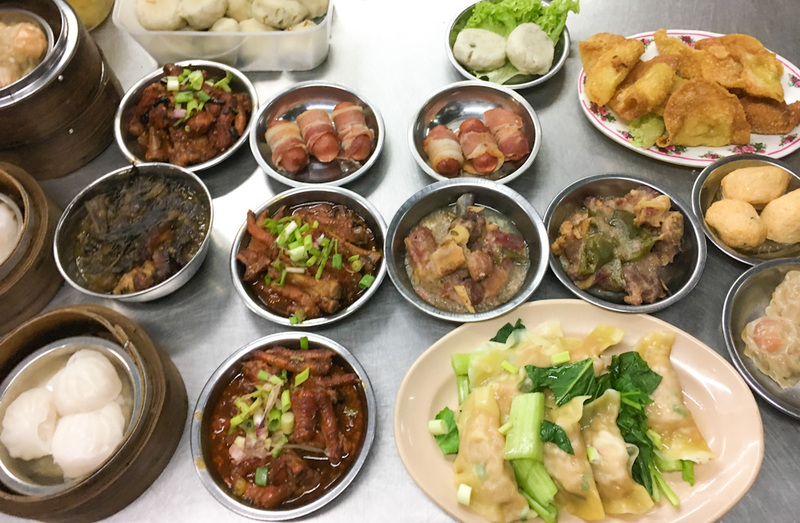 This nine-day Taoist celebration devotees are supposed to eat only vegetarian meals and this is when specialized vendors set up stalls with buffets of vegetarian Chinese food. Because people in Penang couldn’t just eat at home! These spreads will normally include different rice and noodle-based dishes, deep-fried snacks, as well as stir-fried recipes with fresh veggies and faux meats. The Nine Emperor Gods Festival doesn’t happen all year long. So if you still want to enjoy similar foods to these, look out for places serving “Buddhist food”, which would along the same lines. If Penang is a great place to taste authentic Indian, Chinese and Malay foods, it’s also ideal to try fusion dishes. Nyonya cuisine was developed by the descendants of Chinese immigrants who settled not only in Penang itself but also in neighboring places such as Malacca, Indonesia, and Singapore. Nyonya food is a mix of Chinese, Malay, and some other influences. While in Penang, we took a cooking class with the one and only Pearly Kee to learn how to recreate some Nyonya recipes at home. It was one of the best things we did in Penang! 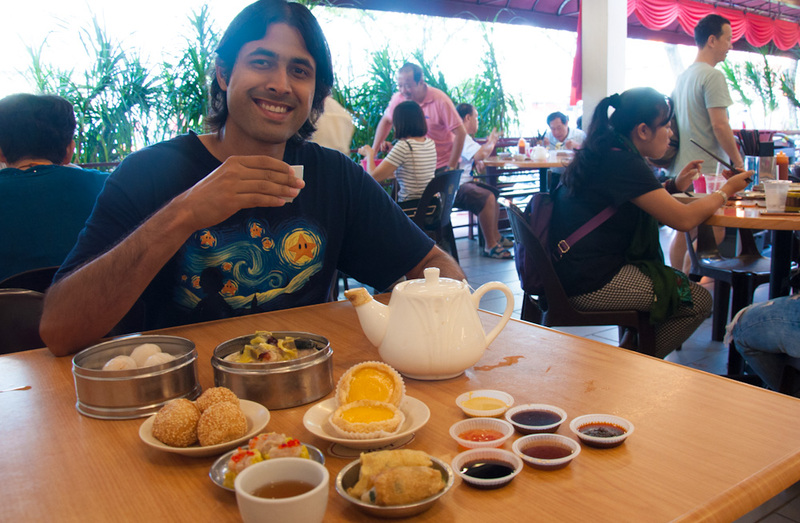 Traveling to a place with heavy Chinese influence and not indulging in Dim Sum would be a big mistake! 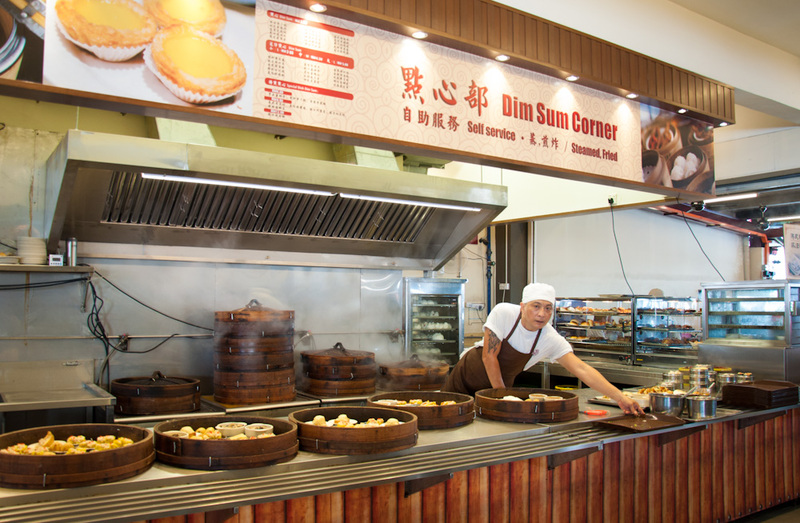 You can find Dim Sum all over Penang, from hawker stalls to specialized restaurants. Dim Sum is democratic food: you choose whatever you like, you ignore whatever you don’t (chicken feet, I’m thinking of you! ), you order a pot of tea to offset the saltiness of the soy sauce used to dip the dim sum and you end the experience with a Portuguese inspired egg tart. For me, this is one of the greatest ways to start the day! Hokkien Mee stands for a Malaysian noodle dish with origins in the cuisine of China’s Fujian province, aka Hokkien. Hokkien Mee can be prepared in diverse ways, yet the most common involves a combination of rice and egg noodles. The protein part of the dish may involve pork, seafood, egg or all of the above. 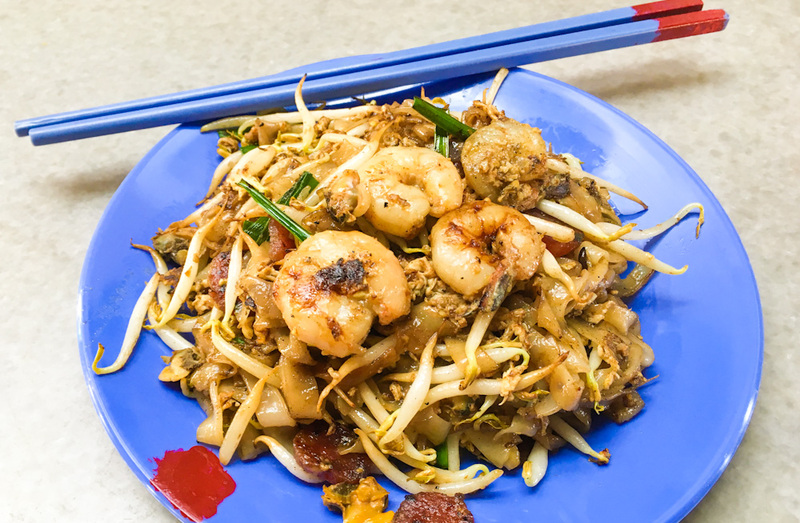 888 Hokkien Mee is a very well-known spot to eat this dish in Penang. I know what you’re thinking! “If you want to eat Sarawak Noodles, you go to Sarawak!” True! But if you have never been to Sarawak and you happen to come across Sarawak Noodles in Penang, you don’t simply ignore the opportunity. 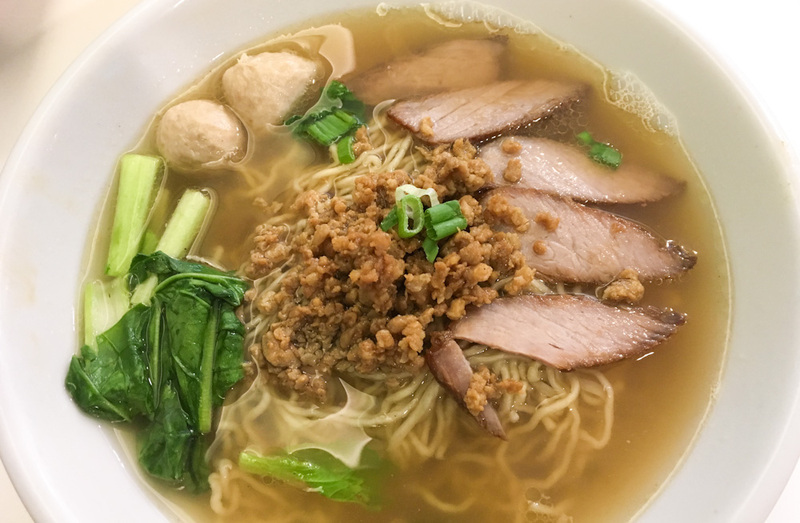 Kolok Mee, as they are known in Malaysian, can be served with soup, but they are also very commonly eaten dry. The noodles are seasoned with soy sauce and served with minced pork and Char Siu barbeque pork and greens. Muslim food in Penang is good, really good! That includes Indian inspired foods like tandoori kebabs and bread. Tandoori food advertises itself as you walk down the streets of George Town. When a piece of meat is fighting against the charcoal inside a tandoor oven, your sense of smell will get an instant notification. Go for it and indulge. Resisting would be haram. This may not have been the best biryani of our lives, but it sure deserves a mention because it’s a 24hrs restaurant! We’re mega fans of late-night joints and 24/7 food places. Dubai got us used to that back in the day. This kind of establishment just makes so much sense! Because no one is to say when someone else should or should not be hungry. It was late at night and we were sitting inside our Airbnb in Penang. We wanted to eat so we just pulled out Google Maps to see what would be open nearby for us to grab a bite. A convenience store? Maybe a little road-side café? No! A full-on restaurant serving tandoori foods and all sorts of biryanis. Thanks for sending us to bed with our tummies full, Kapitan! This Malaysian salad is so Penang! 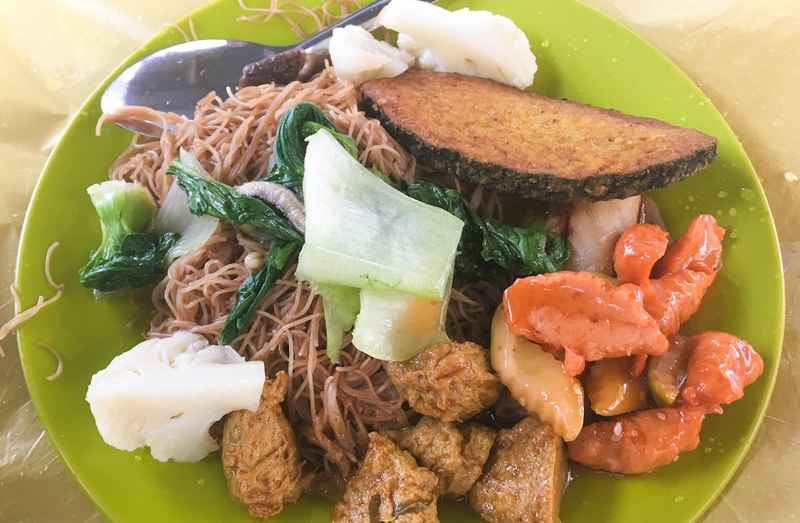 Only in this island where anything can happen on a plate, they could come up with a snack that combines shredded cucumber, beancurd, potatoes, turnip, bean sprouts, prawn fritters, spicy fried crab, fried octopus and/or other seafood, topped up with sweet and spicy nut sauce. When it comes to eating, being surrounded by water means that you’ll end up having seafood. 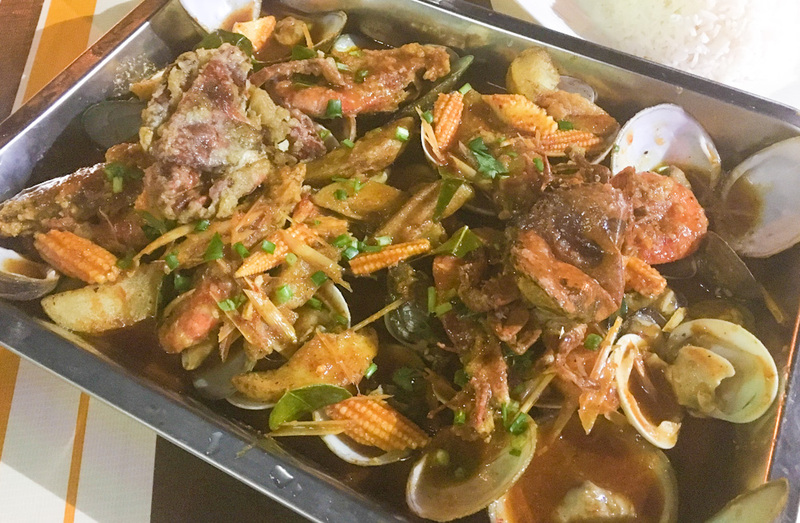 In Batu Ferringhi, we tried seafood like we had never had before. At D UsMa Sitimilee ShelloUt you can order different combination platters of seafood, depending on taste and budget. We ordered a platter that turned out to be a massive tray, with a little bit of everything the ocean has to offer in the region. The main difference between this seafood platter and any other seafood I have tried before was that it was drenched in intense sauce, mixing the right amount of saltiness and heat. It was also served with steamed rice because in Malaysia a meal without rice (or at least noodles) is not a meal. Things at D UsMa Sitimilee ShelloUt get messy pretty easily. But that’s just part of the fun! I’m a fan of personalized foods and food courts in Malaysia. This spot in Penang allows you to make your own soup. Well, you don’t really have to make it. 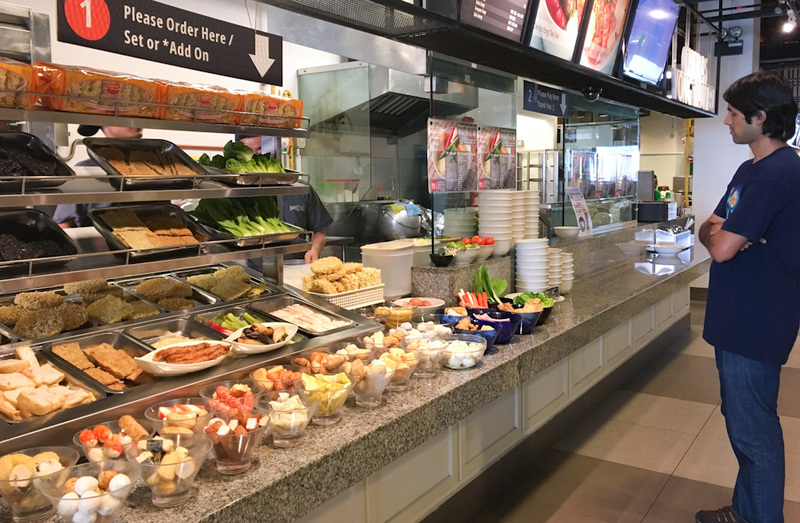 But you get to choose from a wide array of noodles and toppings. If the very unlikely scenario of not knowing what else to eat in Penang ever arrives, create your own recipe! 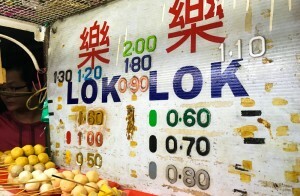 Last but not least in the savory category, we need to highlight the wonderful thing that is Lok Lok. Grab a skewer of your choice, dip it in boiling broth until the ingredients cook to your desired consistency, sauce it all up and enjoy! 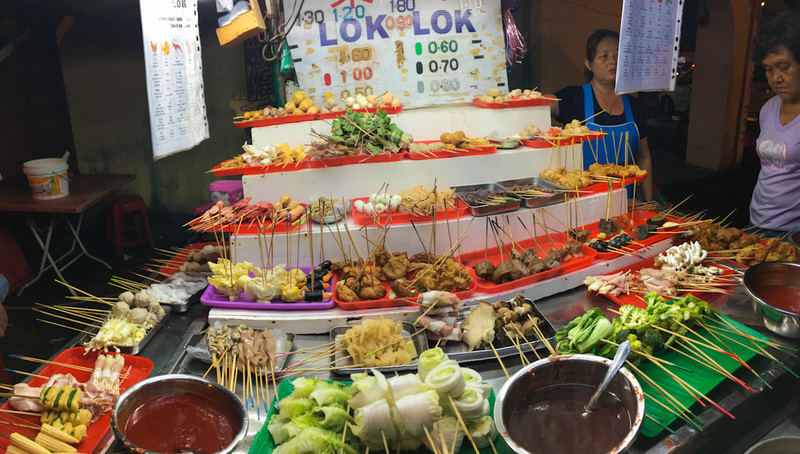 This was our experience trying Lok Lok for the first time in Penang. 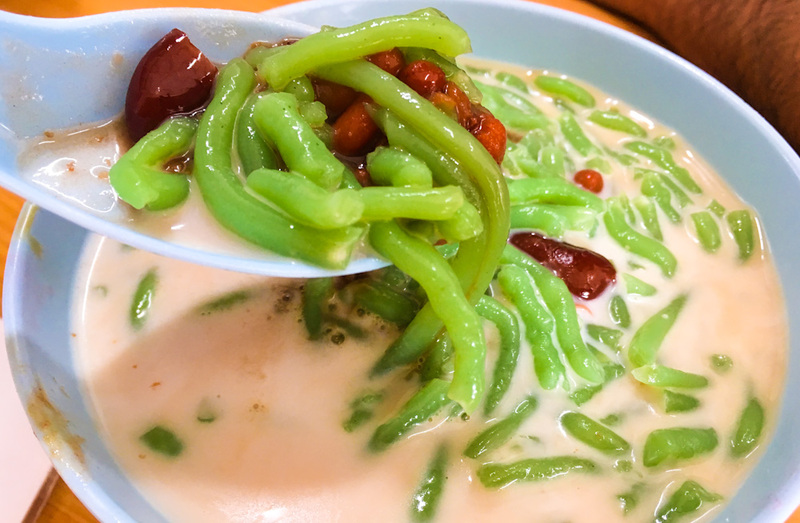 I can’t say that Cendol is my favorite dessert on earth, but I would definitely include it in this list because it’s an iconic sweet to try while in Penang. It consists of a base of shaved ice, topped with assorted looking and tasting things such as glutinous rice, jelly, red beans and palm sugar. The ice melts fast in the heat of Penang, even more so as it becomes liquidish with the addition of coconut milk. You can try to eat Cendol spoon by spoon, but I think you are more likely to end up sipping it at the end. So what does Cendol even taste like? For me, it tasted like nothing else I’ve ever eaten. You just have to try it for yourself and see! If food in Penang rocks, I’d say local desserts are more of an acquired taste. They are special and unique, that’s for sure! 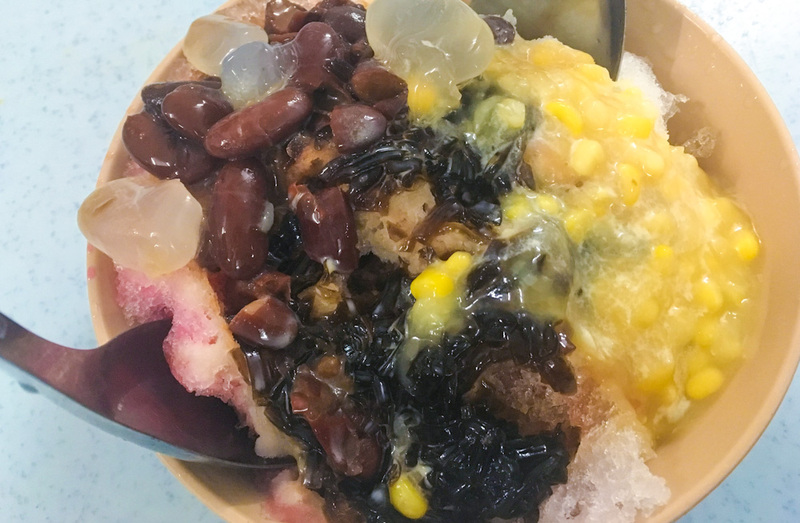 Ais Kacang uses the same base as Cendol, shaved ice, but in this case topped with red beans, palm seeds, grass jelly, sweet corn and cubes of agar-agar, a kind of jelly derived from algae. To top up this eclectic mix of ingredients, Ais Kacang is drizzled with evaporated milk, condensed milk, or coconut milk, red rose syrup and sarsi syrup. Again, just like Cendol, this is an experience! This roadside pancake comes in many flavors these days, but peanut is classic. It consists of a rather standard batter enhanced with coconut milk and cooked in a frying pan. 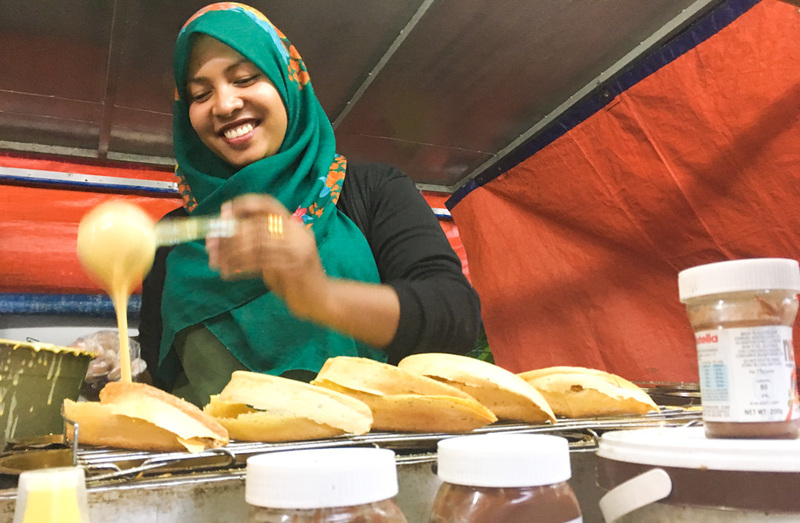 I was lucky enough to be invited to go backstage and try my hand at Apam Balik making and loved every minute of the experience. But one thing is for sure, just like with pancakes and crepes, the first Apam Balik of the batch never turns out OK! This visually appealing sweet originates from South India and Sri Lanka. 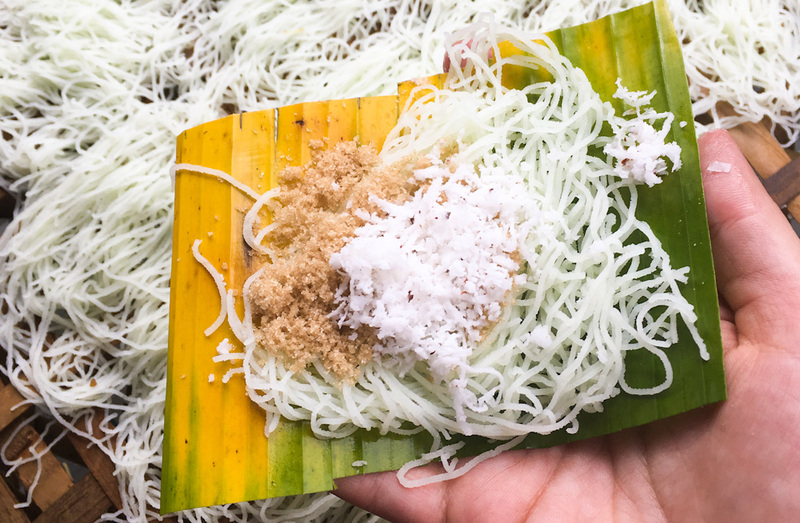 Putumayam brings together rice flour pressed into noodle form, topped up with grated coconut and either cane or palm sugar. Putumayan is not that common in Penang, but if you’re lucky to spot a street vendor steaming the noodles and preparing the banana leaf cuts to serve them on, go for it! 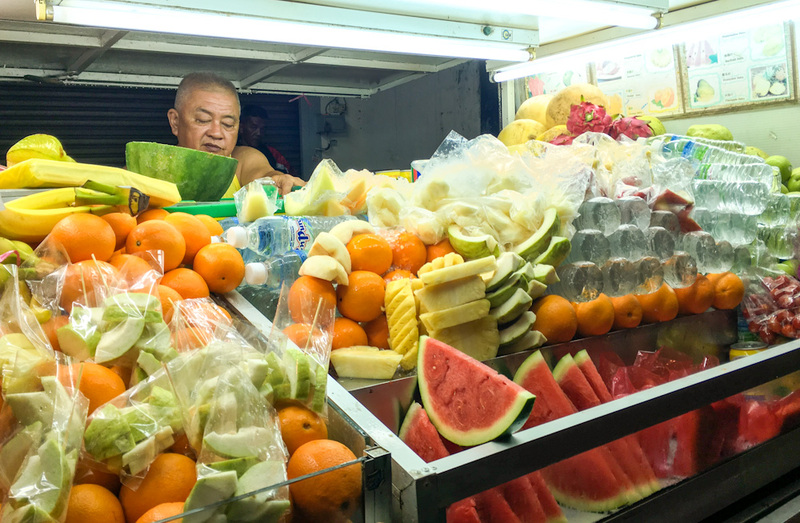 It may sound silly that I’d recommend fruit as a thing to enjoy in Penang but, believe me, not only the fresh fruits around here are outstanding, vendors will make sure you feel like indulging in a healthy treat. In the form of juice, you can sip any of your favorite fruits on the go. If you prefer to bite into the freshness, choose any fruit and sellers will peel it, chop it and serve it for you to eat up in front of their stalls or as you roam around. “Pulled tea” is for Malaysians what Chai is for Indians. This hot milk tea is ubiquitous and tastes surprisingly good in the hot humid weather of Penang. 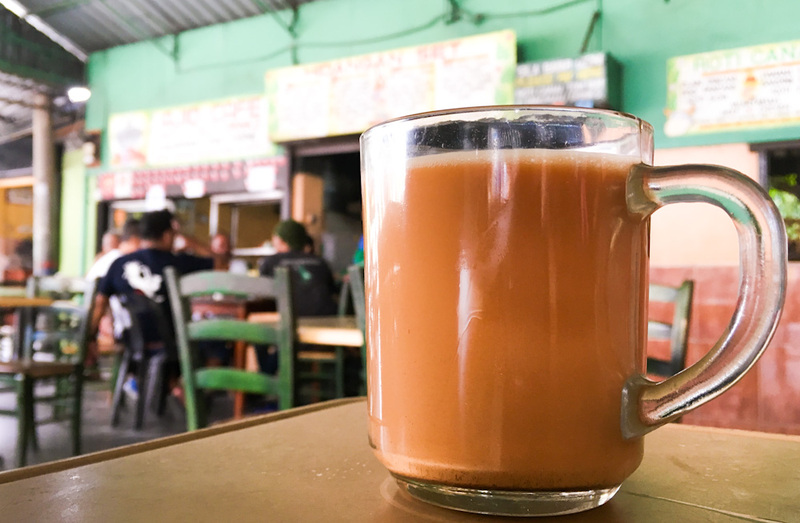 It comes as no surprise to learn that Teh Tarik was popularized by Muslim Indians who came to Malaysia, after World War II. This Malaysian favorite is made brewing black tea with either condensed or evaporated milk, giving it a very characteristic sweet taste. 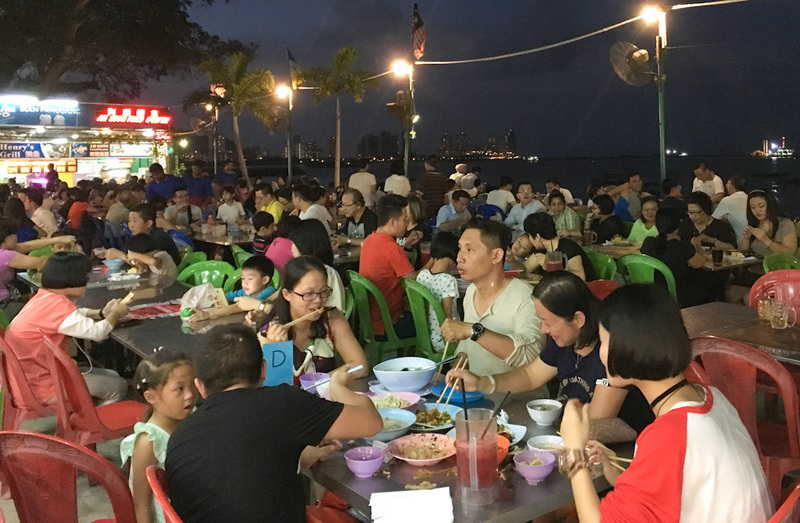 Alcohol is not the drink of choice with meals in Penang. 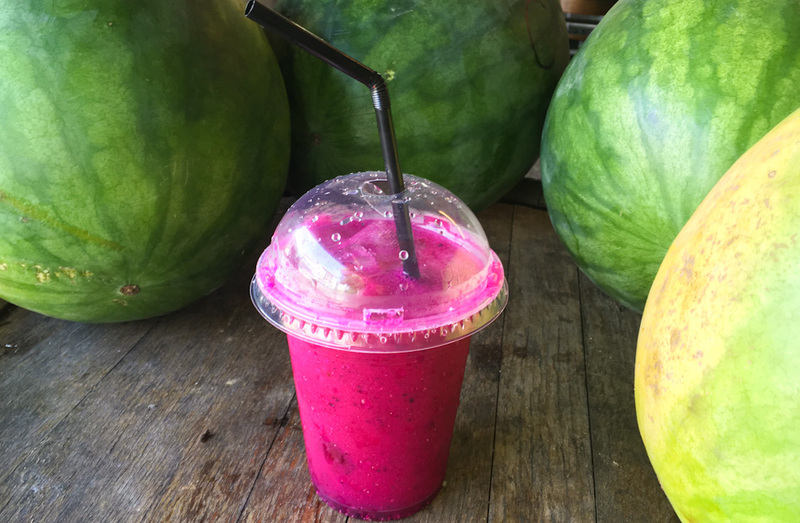 Either you have a soft drink, a juice or an ice-blended milky drink. I go for the latter because when you have spicy food, dairy and sugar are like angels that come to hug your taste buds and nurture them back to a less numb existence. Milo is exactly that… Milo! The popular sweet chocolate powder, mixed with milk. But because Penang is the land of never-ending food variations, Milo is never just that simple! You can order either Milo Panas (hot Milo), Milo Ais (iced Milo) or Milo Tabur, also known as Milo Dinosaur, which consists of a cup of iced Milo with undissolved Milo powder added on top of it – yum! Nescafé instant coffee can also be found in the hot or cold varieties but true beauty happens when Milo and Nescafé come together in an ice-blended beautiful thing called Neslo! This chocolatey milky beverage with a coffee aftertaste is my drink of choice in Penang! If there is anything I missed, please let me know in the comments. I’m always looking for an excuse to go back to Penang anyway! OMG I am drooling with this post! I love Malaysian food, with all its variation and imported dishes… sigh! Seriously, Penang has THE BEST food scene we’ve ever experienced in Asia… if not in the world!! Very nice post, you have shared. THE BEST food scene. Very nice article you have submitted on Food. It’s great to see people out there have enthusiasms of new foods to taste.